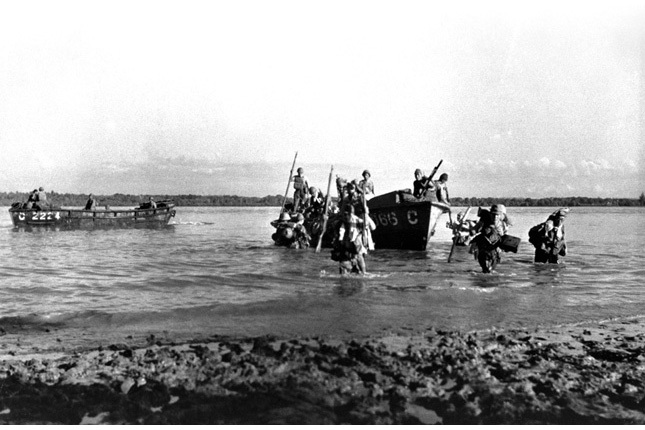 The Battle for Singapore began on 8 February 1942, when Japanese Troops began landing on the shores of Sarimbun Beach, Singapore. 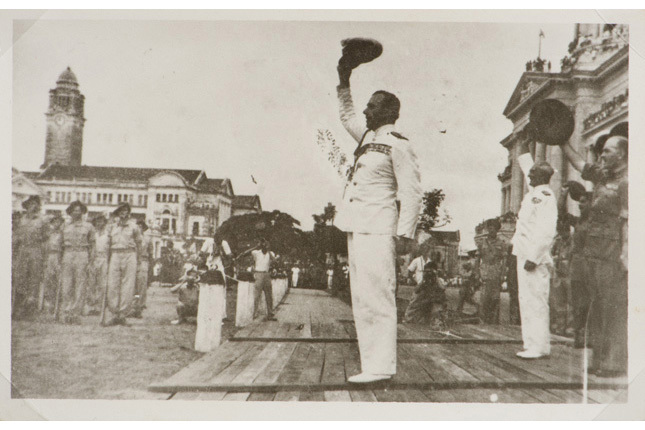 This day marked the start of the Battle for Singapore, which ended on 15 February 1942 - the day the British officially surrendered Singapore to the Japanese. 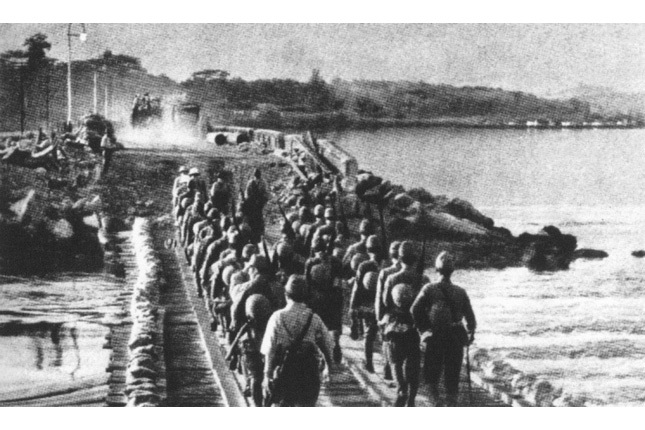 After crossing the Johor Straits via the Northwest of Singapore, the Japanese troops made their way down to Bukit Timah as they looked to seize the British petrol, oil and supply depots located in the area. Despite stiff resistance from Allied troops, the Japanese eventually captured the area on 11 February 1942. 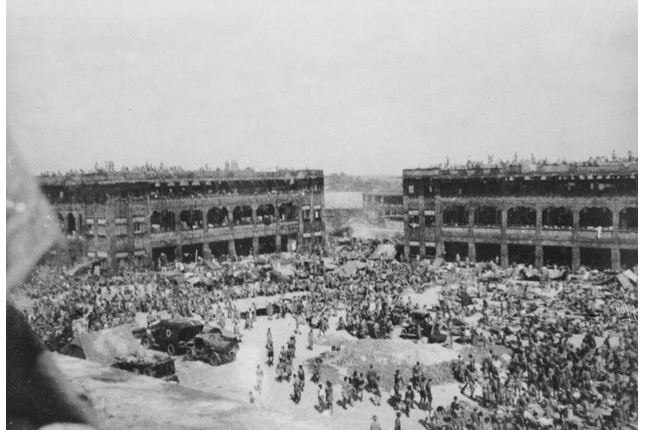 On the same day, Commander of the Japanese Imperial Army, General Yamashita, made Ford Factory his headquarters. By then, Allied troops had withdrawn to the final defence perimeter stretching from Pasir Panjang to Kallang, in what was to become one of the most told battles in Singapore, known as the Battle of Opium Hill. The battle would further intensify – Pasir Panjang Ridge was a key route to the British Military Hospital (now Alexandra Hospital) and main ammunition and ordinance depots. The Battle of Opium Hill was led by Lieutenant Adnan Saidi and his men of the "C" Company of the 1st Malay Brigade. 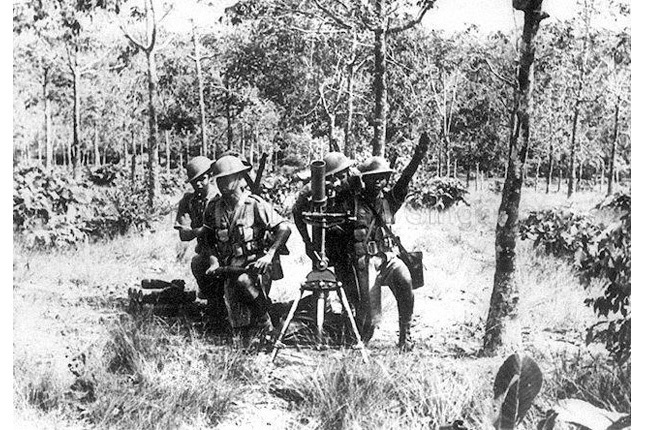 Forced to retreat by the Japanese to the area along Bukit Chandu on 14 February, the Malay Brigade managed to counter a sneak attack by the Japanese and showed their resilience by engaging in hand-to-hand combat when their ammunition ran out. Outnumbered, the brigade eventually fell, and the Japanese troops marched on to Alexandra Hospital, where they cruelly massacred around 280 staff and patients despite a British officer offering surrender to the enemy forces. By 15 February, the situation was looking grim for the Allied forces; they had lost most of their key installations while Japanese planes constantly bombed the city. General Percival gathered his commanders at the Fort Canning Bunker (Battle Box) to discuss terms of surrender. 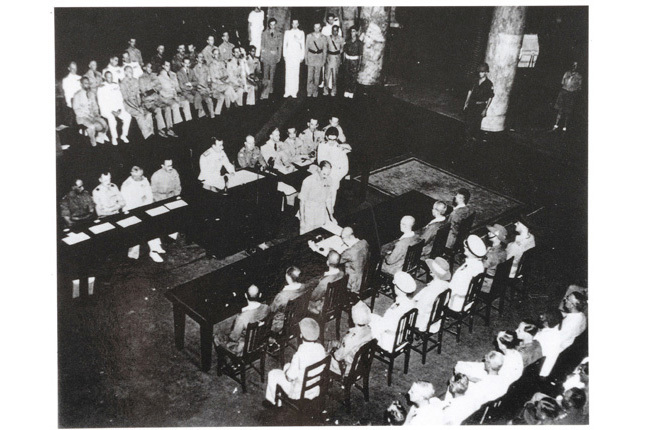 Later that day, Percival and his surrender party met Yamashita at the Japanese headquarters at Ford Factory where they officially surrendered Singapore to the Japanese. For 3 years and 7 months, Singapore was known as Syonan-To (Light of the South). For many, it was a period of constant fear, which heightened during the events of the Sook Ching Massacre. An estimated 50,000 people were executed along the beaches of Punggol and Changi, as part of means to rid Singapore of Anti-Japanese elements. Witness statement concerning 'Sook Ching' Massacre. 23 May 1946. Collection of National Museum of Singapore. For many Prisoners-of-War (POWs), life in camps such as the Selarang Barracks and Changi was cramped, ridden with disease and with little rations to survive on. Many were forced to do laborious work and were even made to sign a pledge of non-escape in 1942, a contravention of the Geneva Convention after an incident where four POWs attempted escape from Selarang Camp. Day-to-day life was not much better for those living outside. Food rationing meant that many had to survive on meagre scraps, while the introduction of Banana notes caused massive inflation, making it impossible for many to purchase or possess anything. There was also the constant fear of the Kempeitai (Japanese military police), who were always on the lookout for dissidents attempting to rebel against the Japanese forces. After numerous defeats, including the atomic bombing of Hiroshima on 6 August 1945, the Japanese officially surrendered on 2 September 1945, ending World War II. 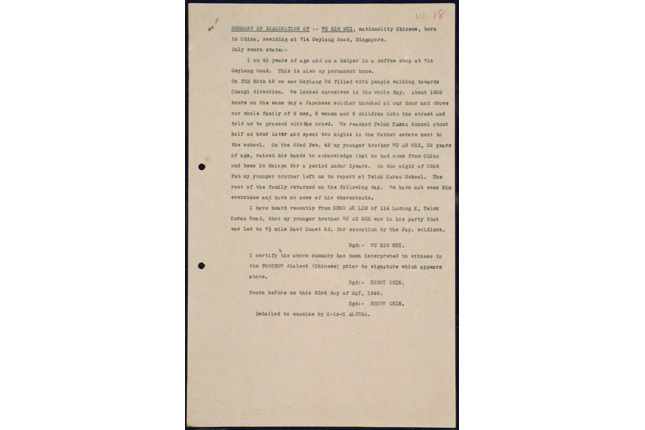 In Singapore, General Itagaki Seishiro signed the first instruments of surrender on 4 September 1945 while on board the HMS Sussex. 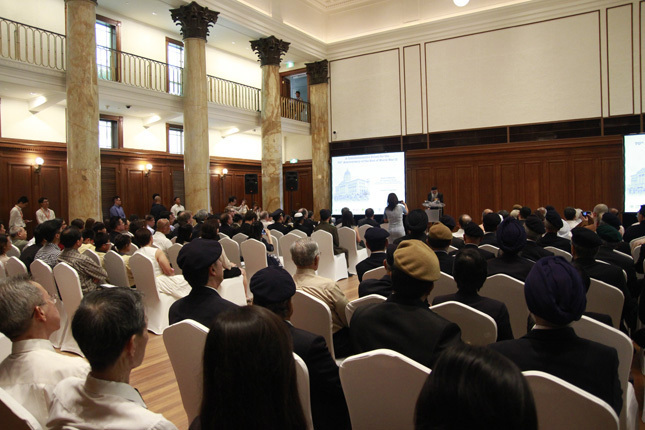 Eight days later on 12 September 1945, General Seishiro, along with four other Generals and two Admirals, entered the City Hall Chamber to formally surrender Singapore to Admiral Lord Louis Mountbatten, the British Supreme Allied Commander in Southeast Asia. Upon the signing of all 11 copies of the surrender documents, Admiral Mountbatten then proceeded to address the people present at the steps of the building before officiating with the hoisting of the Union Jack flag. 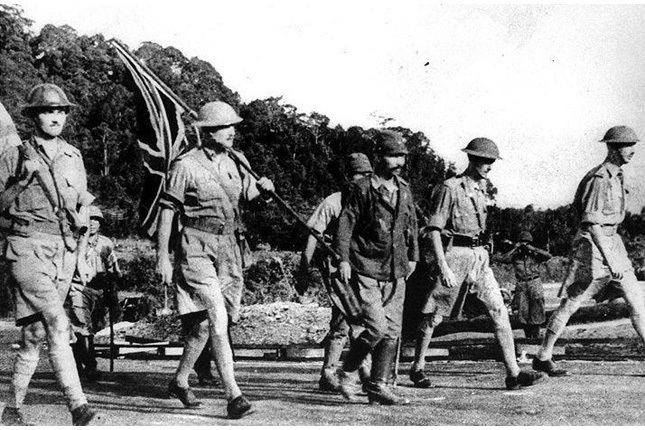 For the remainder of the colonial era, 12 September was celebrated as ‘Victory Day’ to mark the Japanese Surrender. West Point training map titled "The War with Japan: Invasion of Burma (January-May 1942)"